There was plenty of good news for the Midwest this past week. While the Northeast had some unfortunate weather, the Midwest was full of wind and snowy conditions. Starting on Wednesday night, January 10th, a strong wave of energy came through North Dakota and Western Minnesota. The highest snow totals from that storm were up to 8 inches. Later into the weekend, the Midwest received another wave of energy with more snow and wind. The West also received some snow last week followed by warm temperatures during the weekend. Over the weekend, the Northeast had a bit of a heat wave with heavy rains, producing flooding on the trails. A few riders became stranded in the slush and water. Furthermore, the flooding didn’t stop at the trails, as some areas had street flooding and basements filled with water causing more damage as well. Into this week, temperatures dropped and a wave of snow fell over yesterday and into today. For the Midwest, pretty similar to lasts weeks availability. Southern Wisconsin, Eastern South Dakota, and Southern Minnesota only contain minimal snow. The Northeast’s trails suffered from the warm temperatures and rain last weekend. Many trails in New England are closed due to flooding or lack of snow. 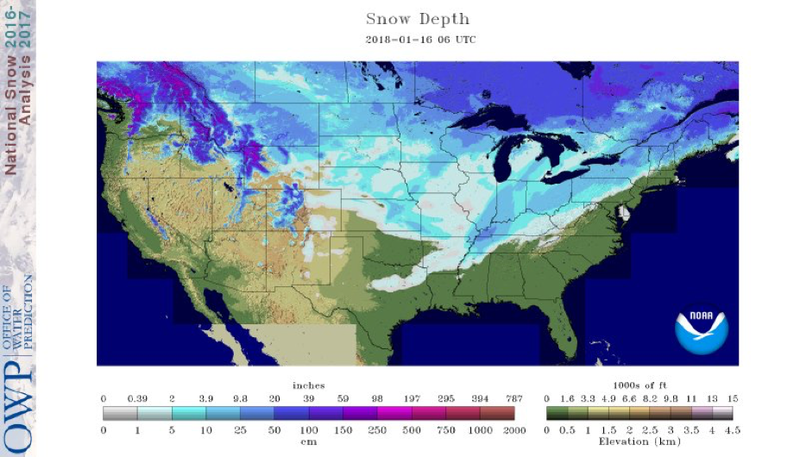 In the West, Montana and higher elevations have solid snow depth. 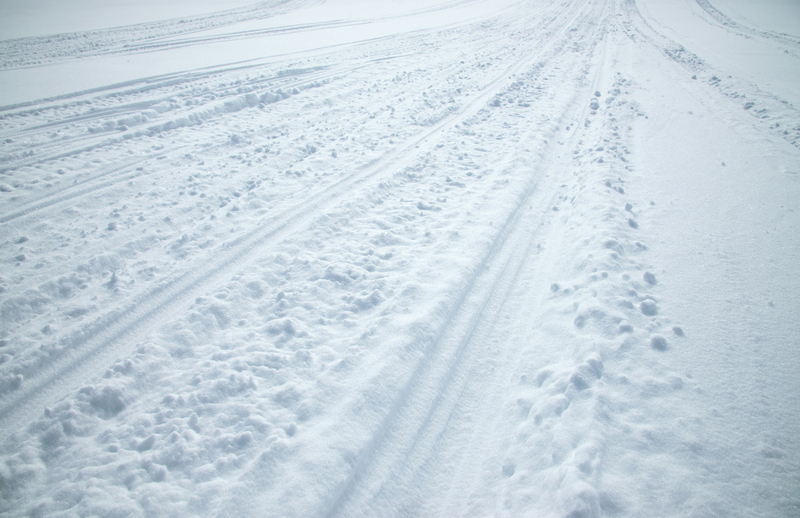 Make sure to check your local trails to see how the conditions are before going. GFS model forecast 1000-500mb Thickness for Sunday, 1/21/2018 18 UTC. Source NOAA. Currently, a strong wave of cool air is pushing through the east coast. This will help freeze up the some of the flooding problems on the trails. Unfortunately, leaving residual ice. Today should be leaving more snow for the Northeast and will hopefully be enough for the groomers to get out. A strong trough will come through the West, creating energy for precipitation later on this week, starting at the coast and moving eastward. High elevation should be receiving snow as the system moves east. 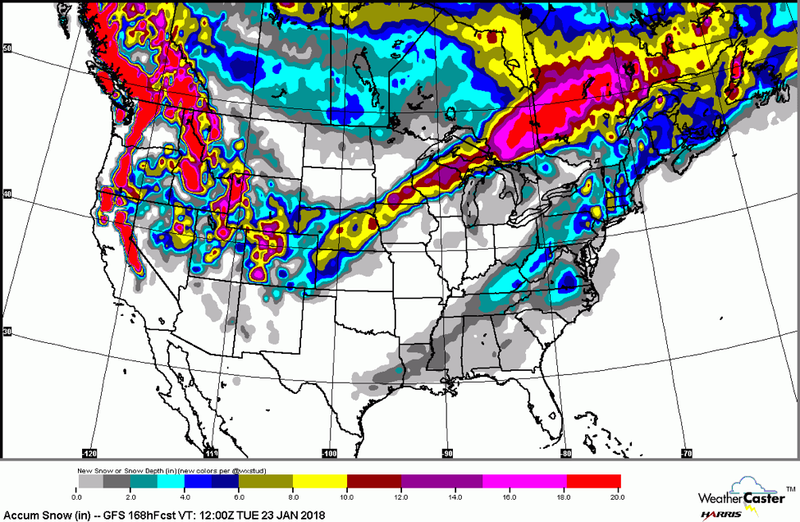 The Midwest should be expecting a winter storm starting from the Rockies and moving northeastward into the Great Lakes early next week. 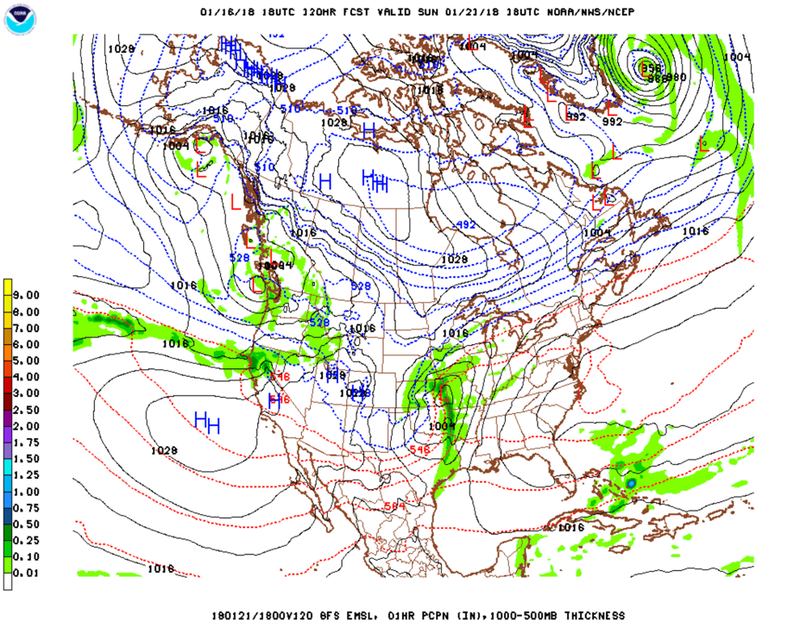 The low system is shown in the GFS model for Sunday, the 21st, around noon with the storm over northeast Kansas. The storm should bring strong winds and snow Midwest/ Great Lakes area. About MaxWeather: We have partnered with the University of North Dakota Dept. of Atmospheric Sciences to give students a practical internship experience, providing weather forecasts for our readers. 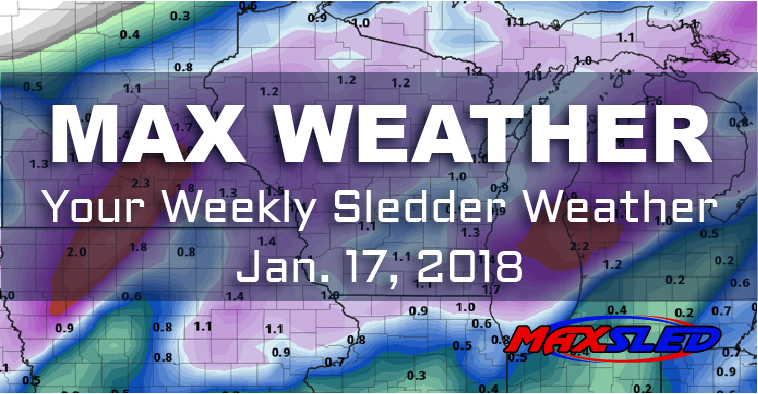 We will bring you a weekly, student-developed weather update throughout the snowmobiling season.